Blood group AB individuals have both A and B antigens on the surface of their RBCs, and their blood plasma does not contain any antibodies against either A or B antigen. Please have a good meal at least 3 hours before donating blood. Please accept the snacks offered to you after the donation, it is vital you have them. You are recommended to have a good meal later. 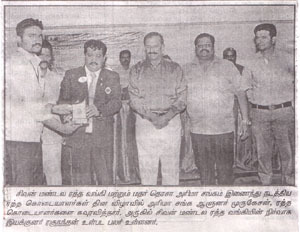 Please avoid smoking on the day before donating. You can smoke 3 hours after donation. 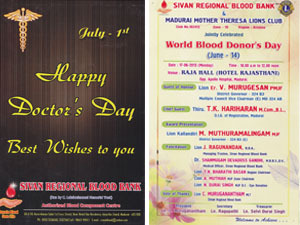 Sivan Regional Blood Bank Run by Lakshmi Ammal Memorial Trust Licence No: 271/06 58-A/10, Kuruvikaran Salai, 1st Cross Street, Arignar Anna Nagar Madurai - 625 020.